WEW has specialist Industrial Ropes Access and Work Positioning Systems operators who have the skills and knowledge to undertake all bush regeneration tasks while working safely at heights. 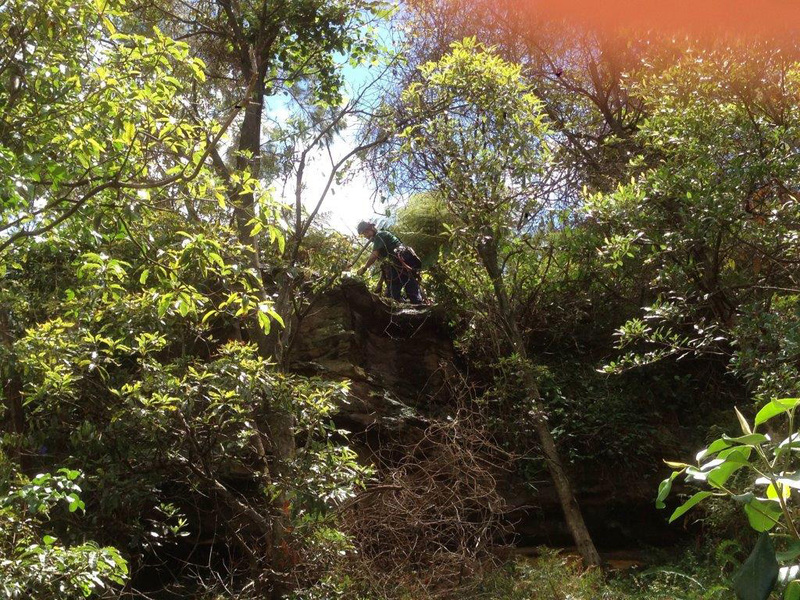 Our specialist ropes team can assess the most effective weed treatment techniques to reduce weed densities in difficult to access cliff environments, steep slopes and other areas unworkable without the use of ropes systems. Industrial Ropes Access and Work Positioning Systems operators. Plan and deliver bush regeneration works in steep areas unworkable without the use of rope systems. Vegetation management advice for difficult to access work environments. Ecology; Restoration; Terrestrial and Aquatic Environmental Management.